Garrett T3/T4 turbo- This particular T04B compressor is one of the smallest T4 compressors available to ensure very quick spool-up. The turbo comes on full force by 2500 rpm to deliver EXCELLENT street power at the very moment that you need it. The turbo is water cooled as well as oil cooled to provide longevity. Deltagate � The Turbonetics Deltagate external wastegate delivers reliable boost control while allowing a 2psi window of adjustability. Standard spring for the Stage I kit is the 3-5psi. Bosch Blow Off Valve � A Bosch BOV is standard in the Stage I kit. 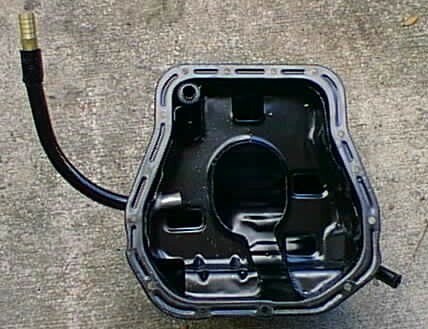 New Oil Pan - A new Oil Pan that is plumbed for the oil return line is provided. This takes A LOT of the hassle out of installing a turbo kit. Aluminized Piping - All exhaust and intake piping is mandrel bent and aluminized to resist rust. 2.5� Mandrel Downpipe � The downpipe has a single high flow cat to help lower emissions. A stainless steel flex pipe is used so the up/down pipes are not strained. 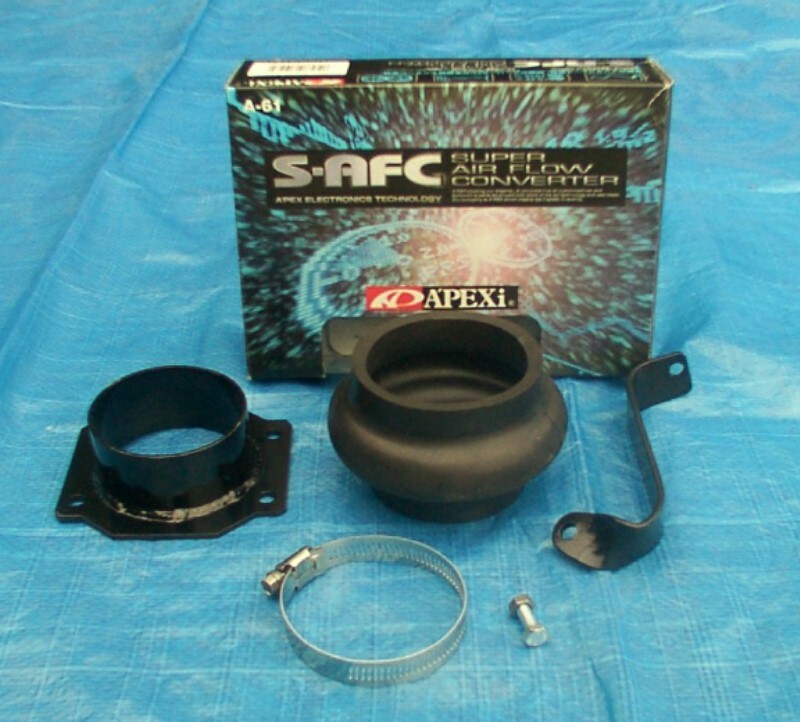 Apexi S-AFC � With proper tuning, this unit provides additional fuel and the ability to fine tune the fuel curve. 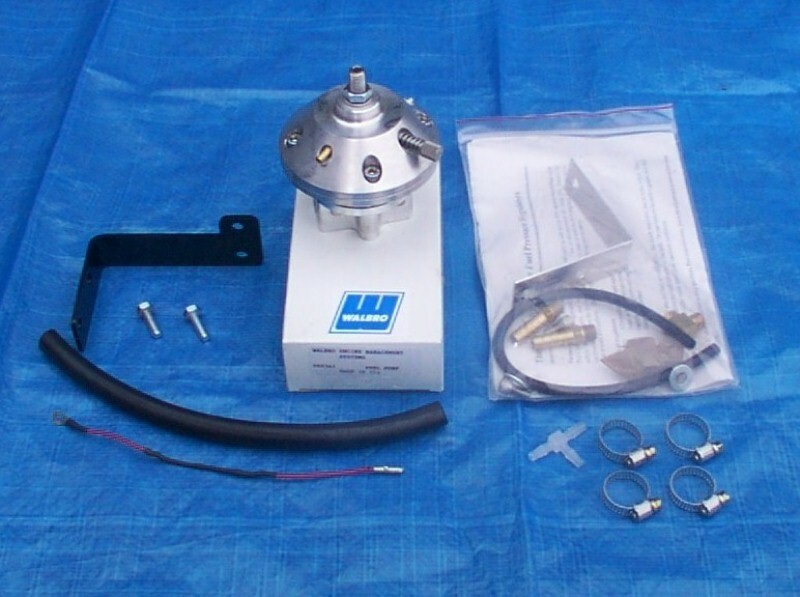 Cartech Fuel Pressure Regulator � The Cartech Rising Rate Fuel Pressure Regulator (RRFPR) provides a rising rate range of 2psi � 15psi rise in fuel pressure for every psi of boost produced. 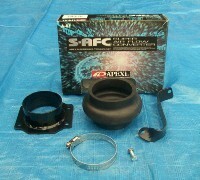 This rate is adjustable and allows more tuning that a conventional Vortech FMU. 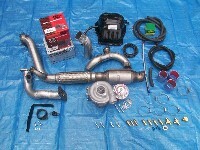 *An aftermarket clutch and free flowing exhaust (2.5" or larger) are needed to make the turbo perform as expected.